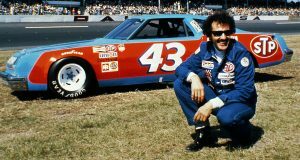 Richard Petty, known as “The King,” co-holds the record for most NASCAR Cup Series series titles (7) with the late Dale Earnhardt and Jimmie Johnson. Petty holds records for most series wins (200), poles (123), wins in a season (27 in 1967), consecutive wins (10 in 1967) and starts (1,185). His last win came at Daytona International Speedway on July 4, 1984. Petty was named one of NASCAR’s 50 Greatest Drivers and was inducted into the NASCAR Hall of Fame in 2010 as part of Hall’s inaugural class. 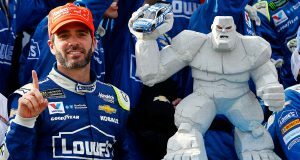 Jimmie Johnon won a record-tying seventh Monster Energy NASCAR Cup Series championship in 2016; joining NASCAR Hall of Famers Richard Petty and Dale Earnhardt as the only three drivers in series history to win seven titles (2006-2010, ’13, ’16).